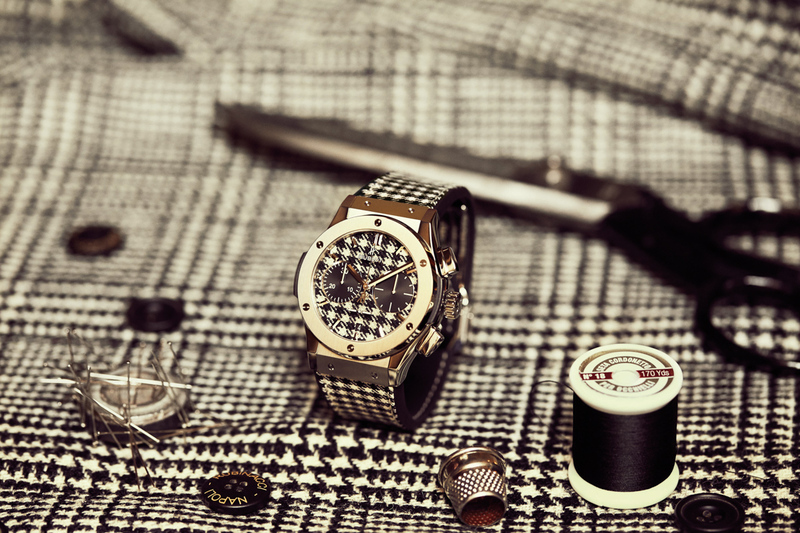 What do you get when you mix the watchmaking expertise of Hublot, the limitless creativity of Italia Independent through its founder Lapo Elkann, and the treasures of the famous Italian tailor Rubinacci? The Art of Fusion! "We are very proud to be able to continue this partnership with Italia Independent and Lapo Elkann, whose creativity and character never cease to surprise us. 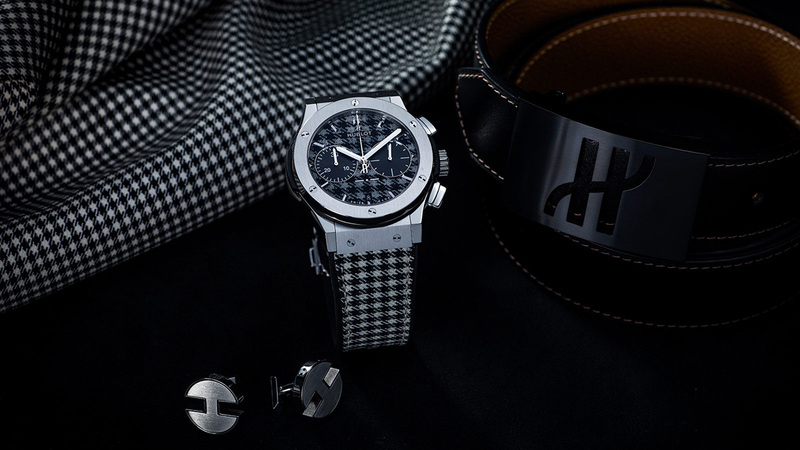 This new project was an extraordinary experience for us: putting Hublot's capacity for technical innovation and willingness to experiment to the service of the House of Rubinacci--a monument to Italian elegance--and the incomparable style of Lapo Elkann. 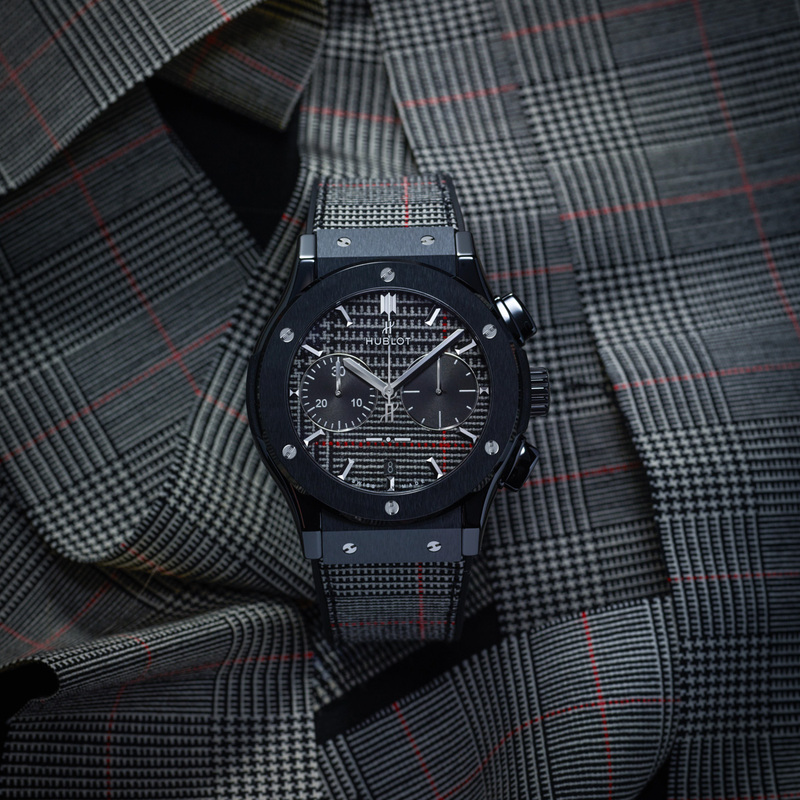 The Classic Fusion Italia Independent truly represents the fusion of three forms of expertise," said Ricardo Guadalupe, CEO of Hublot. "As a creator, I have always put customisation and bespoke designs, which for me represent real luxury, at the heart of my different projects. 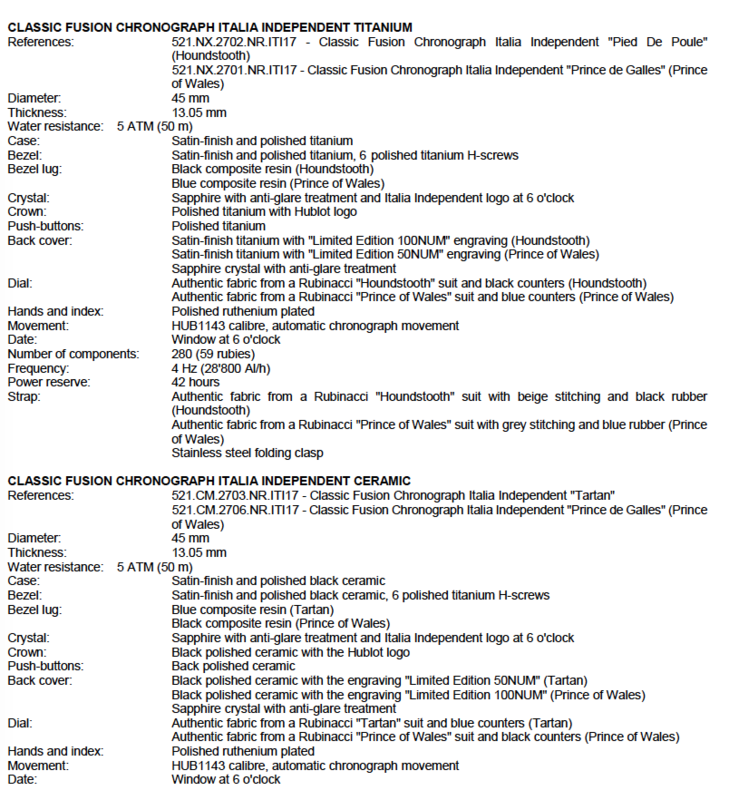 It is with this in mind that I conceive and design unique objects, which meet my tastes and requirements, but also satisfy my clients. 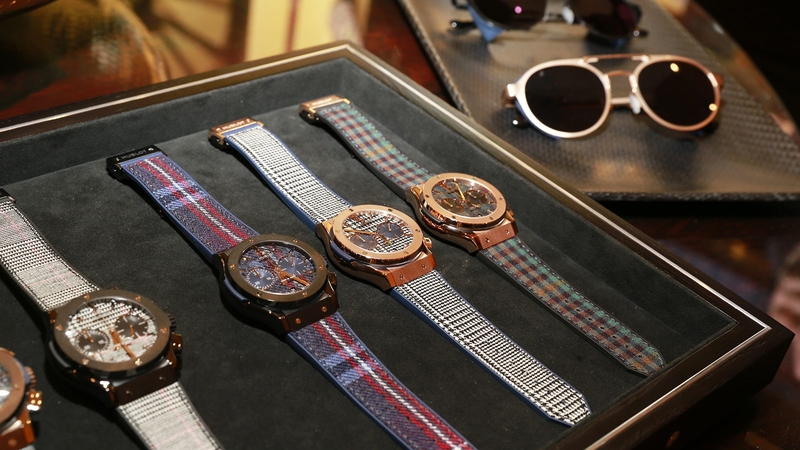 I like the fact that they become truly mine and that they are distinctive, and this is the case for the Classic Fusion Italia Independent collection." 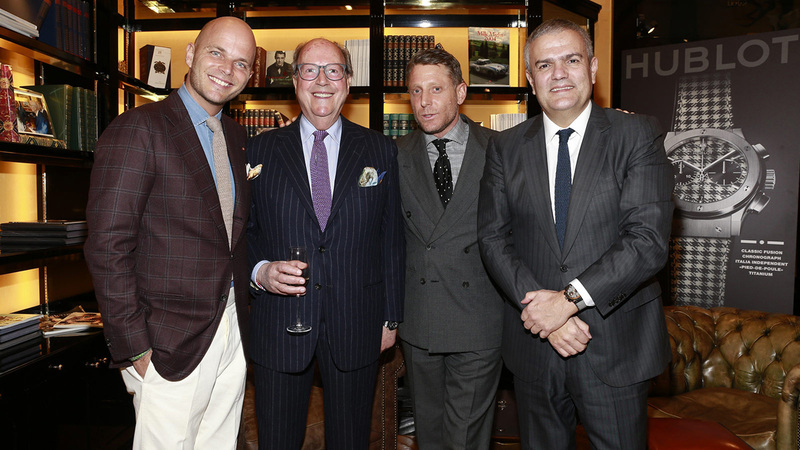 said Lapo Elkann, Founder and Artistic Director of Italia Independent. The "sartoria Rubinacci" was not chosen at random: since 1932, three generations of Rubinacci have been at the reins of this institution of good taste and masculine refinement: Gennaro, the founding grandfather, Mariano, the father who now manages the house from Naples and, of course Luca, master of the store in Milan, and one of the most photographed men on the planet thanks to his unique style. Between them they have dressed everybody from the Duke of Kent to singer Bryan Ferry, not to mention of course the Agnelli family, of which Lapo Elkann is the worthy successor. The House of Rubinacci holds the most beautiful collection of fabrics in its archives. 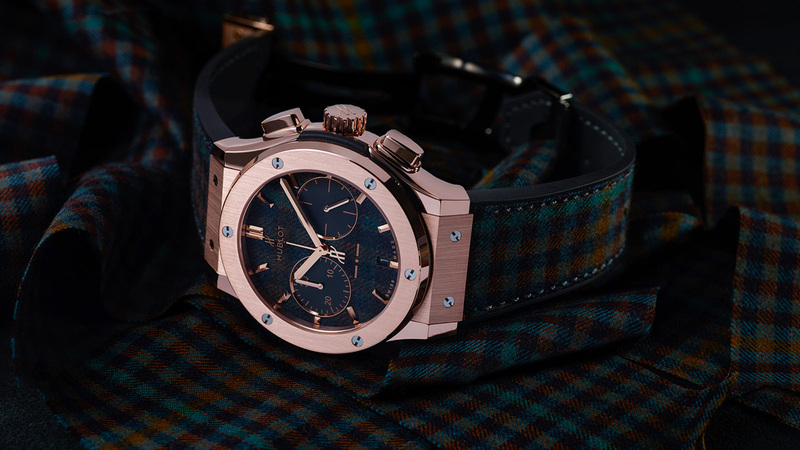 It was here, in the more than 60,000 square metres of precious houndstooth, tweeds and other cloths that Hublot and Lapo Elkann found a collection of tartans--squared coloured wool weaves from the seventies--that they brought back to life by including them in the Classic Fusion as a chronograph. 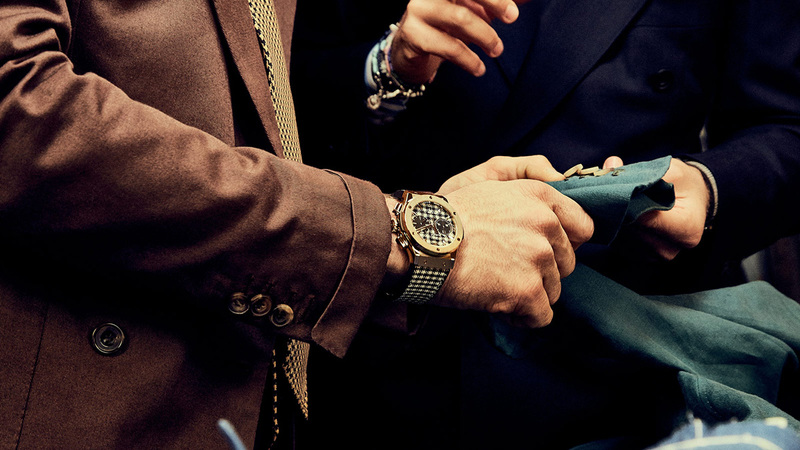 The dial and straps have therefore been made using these precious fabrics to offer this range of 45 mm timekeepers an end result that is the epitome of elegance. "La vera sprezzatura!" 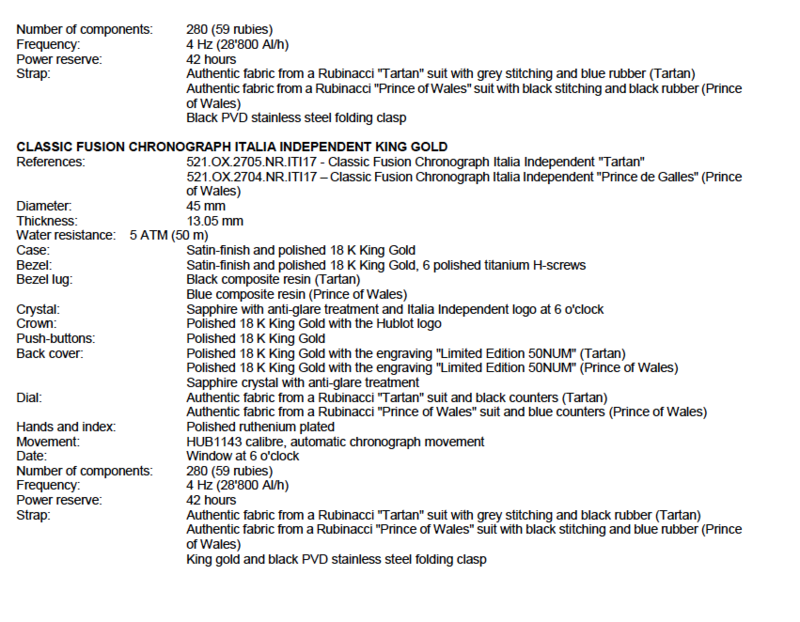 "I chose these fabrics thinking about the costumes that we make for Lapo Elkann. 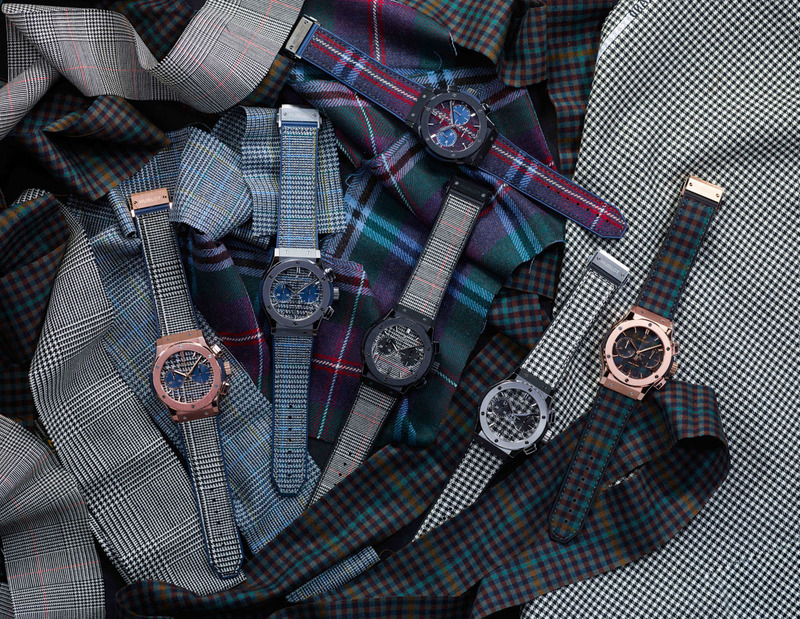 I began with the extravagant colours of a vivid tartan with a sporty tone, then a more traditional houndstooth--in the style of an Italian gentleman--that I wanted in black and white, the colours of his favourite team Juventus F.C. 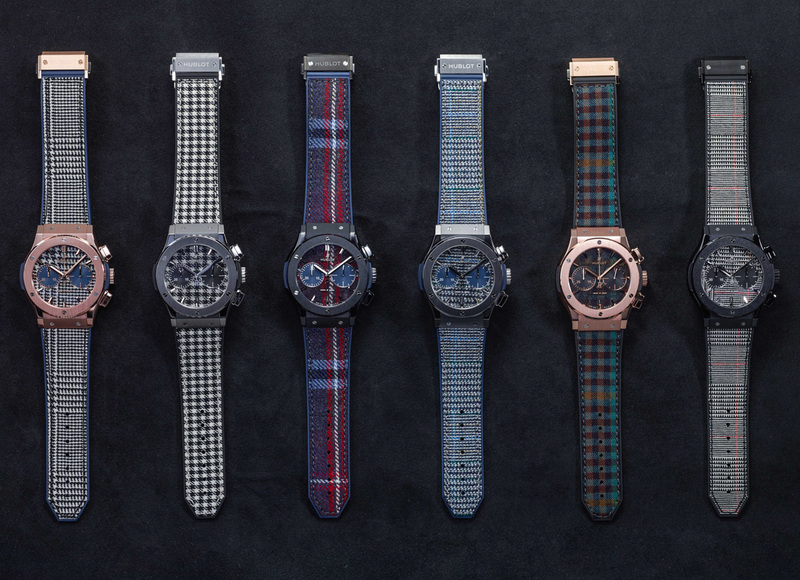 I didn't think that it was possible to put wool on the straps and dial of a watch. 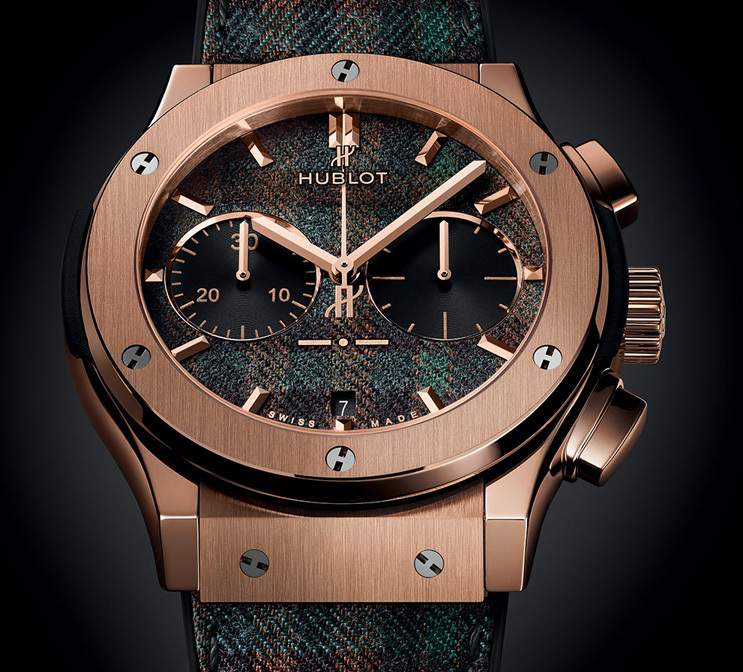 But, Hublot managed it and the result is better than I could have hoped for. 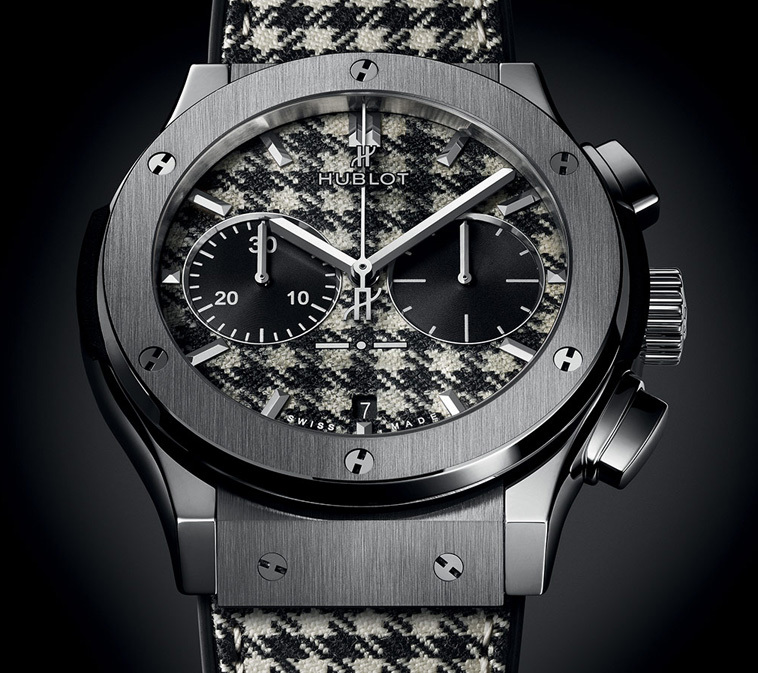 We have achieved a balanced watch, with a pattern effect that is neither too bold nor too light." said Luca Rubinacci.